I’m sure as soon as the festive season strikes , someone gets ill. It’s always the same isn’t it! If it’s not you then it’s one of the kids or the other half. The younger two have been a little Poorly over the last few days with a sore throat, and as you do ,you give them Calpol and it normally sorts itself out doesn’t it. 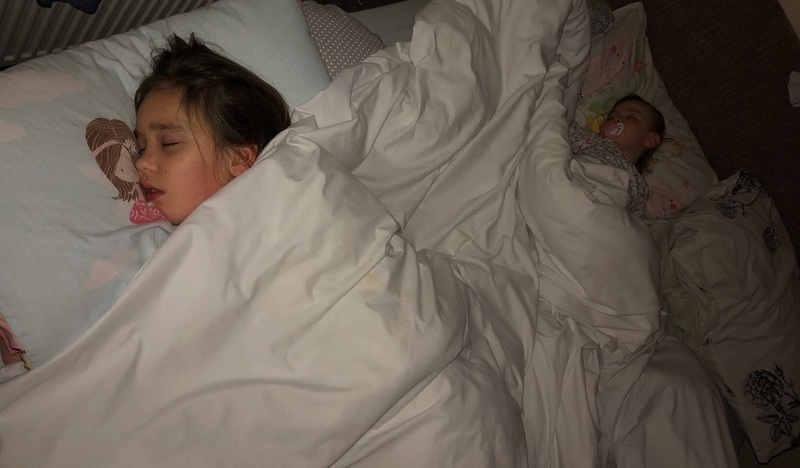 Not this time , I had Nila up being sick everywhere as her cough was really bad during the night so she ended up in bed with me , and then Alessia woke up crying that her ears were sore and they kept popping, and also ended up in my bed. Both over the weekend. Poor Alessia has an ear infection in both ears and also conjunctivitis! Which was news to me , as her eyes were fine until this morning . Her left eye looked a little red but nothing screamed out to me . So the cool boiled water method for Alessia’s eye and antibiotics for her ears. Crossing my fingers she doesn’t mess with it and spread it , because that is the last thing she needs!. Nila has croup, poor little mite! But apparently because the croup sound in her cough isn’t ‘that bad’ , she has been prescribed some pain relief and hopefully it’ll ease off. If not we are to ring 111 over the weekend. I don’t know how I feel about that to be honest. I think as a parent you worry anyway don’t you, but croup just rings worry bells for me so she will definitely be in with me so I can keep a close eye on her . So far no one else is poorly and hoping if anyone worse does get poorly they can wait til the little ones are done ! :) Happy Friday! Oh so sorry to hear about your little ones being ill. I hope they start to feel better soon.